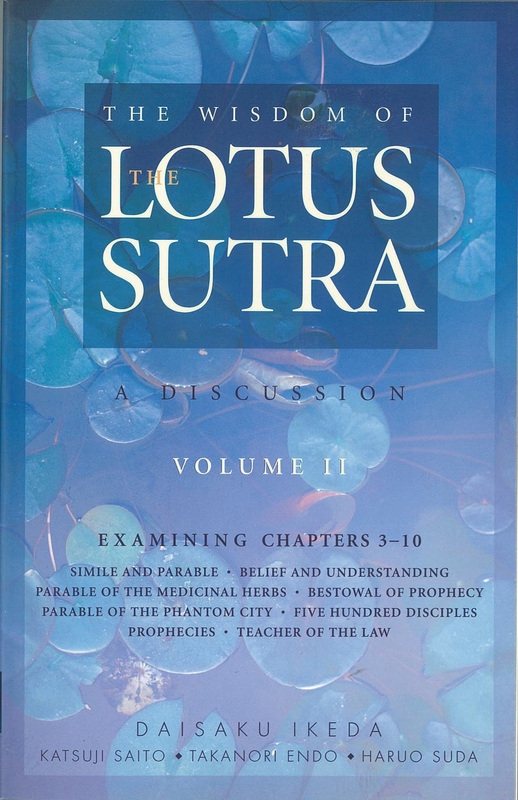 The conversations in this six-volume work, conducted over a number of years, yield intra-religious insights of Buddhists who regard the Lotus Sutra as a core teaching of Mahayana Buddhism. 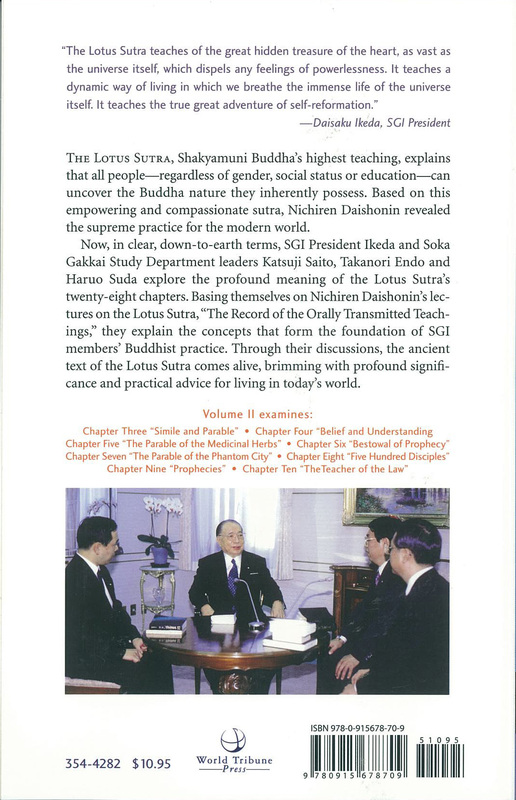 Daisaku Ikeda, who heads Soka Gakkai International (SGI), and Soka Gakkai Study Department leaders Katsuji Saito, Takanori Endo and Haruo Suda examine and expand upon a series of lectures on the Lotus Sutra by the 13th-century founder of their faith, the Buddhist sage and reformer Nichiren. SKU: 9780915678709 Categories: Books, Dialogues, Introductory Materials, On Sale!